A full line of trucks for waste collection, material transport and laundry handling. 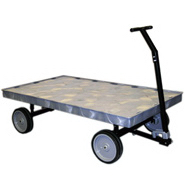 Spring platform brings contents to a convenient working level for safer and less-fatiguing handling of material. 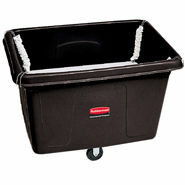 Metal frame provides durable support. Conceals loads without reducing capacity. USDA Meat & Poultry Equipment Group Listed. Assists in complying with HACCP guidelines. Diamond wheel placement for maneuverability.